Dan Imhoff is an author, musician, and artisan food producer who has written for 25 years on topics related to ecological sustainability. He has written numerous articles, essays, and books including Food Fight: The Citizen’s Guide to the Next Food and Farm Bill; Paper or Plastic: Searching for Solutions to an Overpackaged World; Farming with the Wild: Enhancing Biodiversity on Farms and Ranches; and Building with Vision: Optimizing and Finding Alternatives to Wood. He served as the editor of CAFO: The Tragedy of Industrial Animal Factories and co-editor with Jo Ann Baumgartner on Farming and the Fate of Wild Nature. Dan lectures regularly on a variety of topics, and has appeared on hundreds of national and regional radio and television programs, including Food Forward, Bag It, CBS Sunday Morning, Science Friday, and Living on Earth. His essays and excerpts have appeared in the Los Angeles Times, Huffington Post, and Atlantic Monthly (online). Dan is the president and co-founder of Watershed Media as well as president and a co-founder of the Wild Farm Alliance, a national organization that works to promote agriculture systems that support and accommodate wild nature. 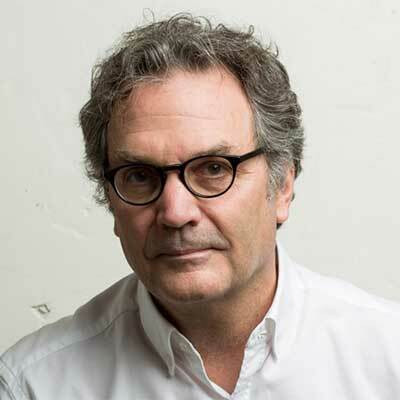 Between 1990 and 1995, Dan worked at Esprit International, where he was communications director for a team at the forefront of environmental product design. He received a B.A. in International Relations from Allegheny College and an M.A. in International Affairs from the Maxwell School of Public Affairs at Syracuse University. The Farm Bill is one of America’s most important pieces of legislation. Costing taxpayers nearly $100 billion per year, it defines the policies that shape nutrition assistance, local and organic food, the fate of family farmers and biodiversity, and more. Yet at nearly 1,000 pages, the Farm Bill’s thick web of technical jargon and acronyms makes it difficult to comprehend for many policymakers, let alone citizens. In The Farm Bill: A Citizen’s Guide, author Dan Imhoff applies twenty years of experience translating the Farm Bill into plain language to today’s most pressing debates. With his co-author Christina Badaracco, he explains the basic elements of the Farm Bill, its origins and history, and the battles that will determine the direction of food policy in the coming years. The result is an accessible, graphics-rich 200 pages that break policies down into relatable concepts and offer a vision of a more democratic Farm Bill. The Farm Bill will empower citizens to understand and reshape the outcome of future Farm Bills. With this book, we can write new rules that put food and farming on a healthier, more sustainable, and more ethical path. Check out Chapters 1 and 2 "What is the Farm Bill" and "Why Does the Farm Bill Matter?" below, or download the PDF here. Josh Wise, Director of Development & Communications of the Institute for Agriculture and Trade Policy (IATP) interviews Dan Imhoff and Christina Badaracco about the 3rd edition of their book, The Farm Bill: A Citizen's Guide. We talk about the history of the Farm Bill, how it got the way it is, and how it can be transformed to support a future of sustainable agriculture and food security. Listen now. 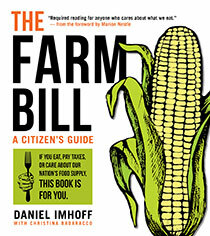 Daniel Imhoff is the co-author of The Farm Bill: A Citizen's Guide with Christina Badaracco. This op-ed was originally published December 14, 2018 on Sustainable Food Trust. Unfortunately for people who truly care about a world centered around healthy agricultural landscapes and nourishing affordable food, this Bill looks a lot like the same old Big Ag friendly boondoggle. Commodity farmers will be set to receive more handouts – instead of fewer – to overproduce crops such as soy or corn, in monocultures that erode the soil, poison the water and air, raise animals in factory conditions and devastate biodiversity. Milk producers will be able to continue to flood markets with less risk of bankruptcy and cotton growers will rake in expanded subsidies as well. After many decades, the US Department of Agriculture is reversing its ban on industrial hemp cultivation. Cannabis containing less than 0.3% of psychoactive THC can be grown as a commodity and rotation crop and will be eligible for federally-subsidized crop insurance. Some are predicting a rapid reintroduction of the versatile fiber and oilseed crop across North American farmscapes. The Washington Post editorial board described the soon to be signed legislation as “a bad bill—that could have been a lot worse.” Because the US House and Senate were so far apart in their separate versions of the bill, the process moved to a compromise phase known as ‘conferencing.’ A deal was made between Republicans and Democrats – despite the fact that a newly elected Democratic majority in the House will be seated in January that could have presumably pushed for a stronger position. One can only wonder why the minority leaders bargained to finalise a bill with the current draconian House, rather than waiting a month for a more reform-minded chamber? To preserve the status quo is the only logical presumption. Granted, the Republicans play hard ball. The House Bill included strict work and job training requirements for certain food stamp recipients, in the name of promoting “independence”. This would have negatively affected more than a million hungry Americans for questionable budget savings. The House Bill also included riders that would have permitted the use of neonicotinoid chemicals that harm pollinators, exempted pesticides from clean water regulations and eased restrictions on logging in public lands under the guise of fuel reduction. The Democrats declared victory when these crucial elements were dropped. But whether they were ever serious expectations or just part of a shrewd negotiating strategy, is a burning question. Continue reading the full op-ed on Sustainable Food Trust.